Credit: http://badassteachers.blogspot.com. All rights reserved. What’s the purpose of public education? What role do teachers, parents, and students have in shaping that purpose? And who decides how to serve it best? These are the questions that are now being raised by an insurgent group of classroom teachers in the United States--and about time too. That statement goes to the heart of the battle over public education that is taking place in the USA and other market-driven cultures. On the other side of the battle are groups like the Badass Teachers, the teachers’ unions, and organizations like FairTest and the Network for Public Education who believe that schools should prepare children to be active agents of democracy, while providing them with a potentially-transformative experience. In their vision of education, students are engaged in cultivating their own moral voices through critical reflection, so educational achievement cannot be reduced to a standard curriculum or measured by standardized test results. Although classroom innovations are important, educational success is defined by broader factors outside of the school’s control—especially poverty. According to education historian Diane Ravitch, “poverty is the single greatest determinant of low test scores.” However, the standard package of reforms that is pushed so hard by Gates and others lacks any practical understanding of what it means to teach the 45 per cent of American children who come from struggling families, including the 16 million who live in abject poverty. The implication of ‘school choice’ programs is that good choices by ‘consumers’ lead to good results, and poor choices lead to poor results. But recasting poverty as a choice is not only misguided but damaging to the fabric of democracy. High-stakes standardized testing also creates a marketplace of shoddy comparisons—a marketplace that fails to see the strength in certain types of variation because it erroneously regards all variation as weakness. Against this background, it’s vital to protect the ability of schools to cooperate with each other (not to compete), and to model other aspects of democratic culture. When teachers, parents and children collaborate in a common search for solutions they increase their democratic capacities. It’s a fundamentally egalitarian vision that rejects the view of education as a commodity that can be quantified, bought and sold. 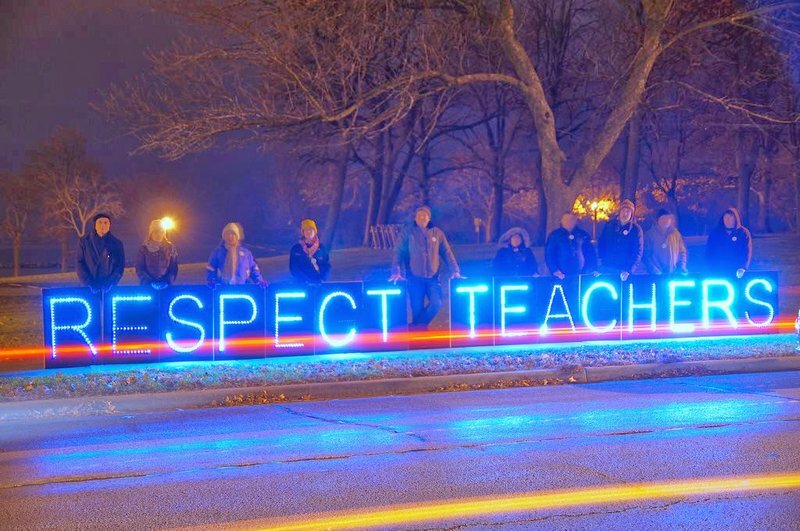 Contrary to the assertions of some critics, groups like the Badass Teachers are not averse to evaluation or accountability. In fact, their chief criticism of standardized testing is that it is not objectively reliable for its stated purpose. The systemic problem is that the salaries of many administrators, test makers, and other data collectors depend on these types of measurements. Therefore, they have an incentive to remain blind to the mounting evidence that these measurements are inaccurate. When the measurements point to poverty as the real problem in undermining educational achievement, these technicians have no choice but to rework and reanalyze the data to fit a more profitable catalogue of services. The Badass Teachers propose a much stronger alternative to this narrow vision of accountability: practice standards and teacher evaluations that are democratically developed by incorporating the voices of the people closest to the real problems of students—classroom teachers, children and their parents. This is not a new or shocking idea. From doctors to lawyers, there is already a consensus that the public good is best served when professionals develop, adopt, and implement their own standards, ultimately regulated by an independent external authority. To illustrate the ridiculousness of the alternative, think about architects drafting surgical procedures or surgeons designing skyscrapers. These examples seem too absurd to mention, but when it comes to teaching, some people seem to think that the opinions of billionaires and other outsiders are more valuable than the opinions of classroom teachers. By moving accountability closer to the real practice of education, we’ll not only get closer to understanding the real effects of poverty on children and society at large, but also move closer to defining the real purpose of public schools. Bringing everyone into the conversation—teachers, administrators, parents, and students—generates more ideas and potential solutions and helps to foster democratic dialogue and deliberation in communities that are increasingly polarized. Fortunately, a number of such efforts are already underway. Barbara Madeloni, for example (President of the Massachusetts Teachers Union and a badass teacher herself), is holding regular public forums to reclaim the lost voices of classroom teachers in education policy. Soliciting input from thousands of diverse voices is a messy and burdensome approach, especially when compared to soliciting the input of a small number of wealthy donors. However, people like Madeloni know that this mess is where democracy and education actually take place. As an attorney who has worked with parents, teachers, and students from low-income families, and a former school board member, I’m convinced that only when education is seen and practiced as a democratic experience will societies get closer to solving the real problems of the 21st Century, including overconsumption and the misuse of technology. This will require a radical shift in education policy, which for decades has focused on measuring failure rather than strengthening success, but the payoff will be a new ability to take public ownership of public problems so that communities can act collectively and decisively. If more than 98,000 public schools in the USA can be converted into flagships for civic engagement, they can become building blocks of a new movement for participatory democracy. To help in this process, I’ve started a non-profit organization called “Project My Voice,” which aims to strengthen the involvement of public school teachers, parents, and students as they take control of their own learning communities. Through a mixture of local lobbying, innovative lesson plans and online engagement tools, my hope is that we can finally allow students to become student-teachers by promoting learning on difficult issues and providing a platform for direct participation in decision making. In a world dominated by market values, public education will always be an act of defiance. So wherever public schools and public school teachers still exist, they require support as part of a wider movement of resistance to the culture of commodification that is sweeping through society. The road ahead may be difficult, but we are fortunate to have some badass teachers to light the way.